Kirkland seeks Berry's advice on a school for her grandson, who needs a wholesome influence. She believes he has the making of a fine man, but his mother cannot control him and he "runs the streets with rough boys." 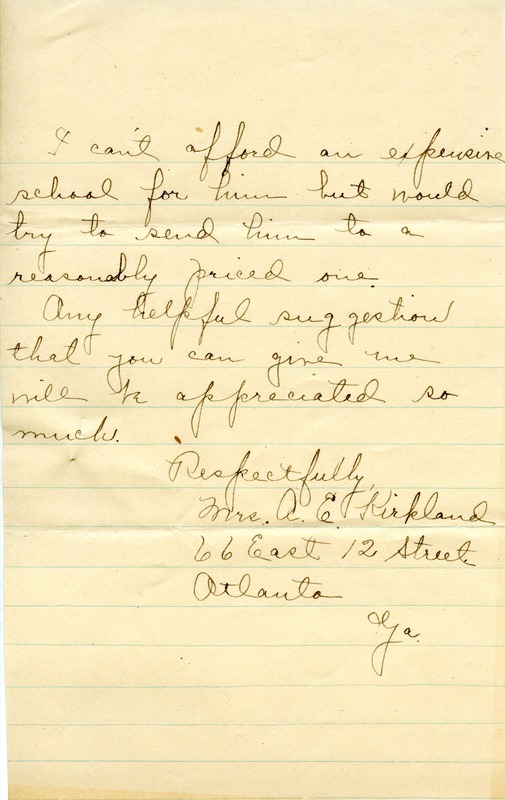 Mrs. A. E. Kirkland, “Letter from Mrs. A.E. 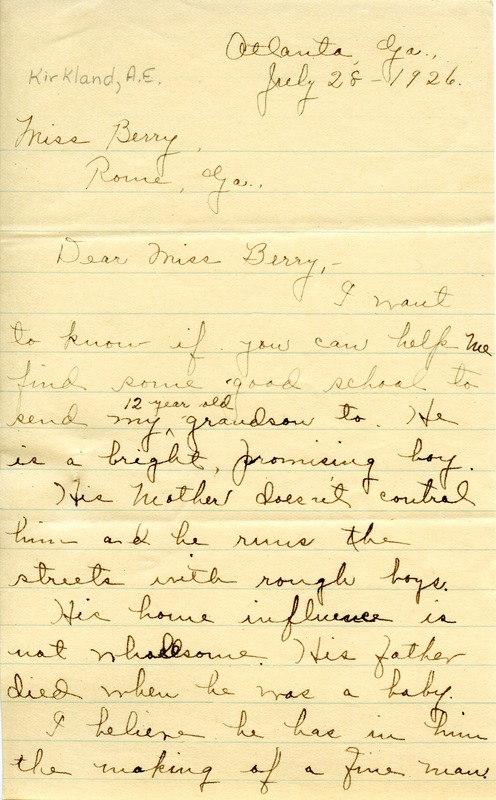 Kirkland to Martha Berry.” Martha Berry Digital Archive. Eds. Schlitz, Stephanie A., Sherre Harrington, et al. Mount Berry: Berry College, 2012. accessed April 20, 2019, https://mbda.berry.edu/items/show/1769.